Fill out the application form below or open it here (open library card application in new window).  Make sure to include your James Sprunt e-mail address (if you have one; if not, personal e-mail is okay) – we'll only use this information to notify you of overdue items or available interlibrary loans (books requested from other libraries). When you've completed the form, press the Submit button or the Enter key. I filled out the application – now what? Bring your student ID badge to the reference desk in the library and let us know you've completed the form. We'll scan the barcode on your ID to create your library record. If you are online student and do not come to campus: send an e-mail with the subject line "New User" to jscclibrary@jamessprunt.edu. Use your JSCC e-mail account (or, if you don't have one, the e-mail address you provided on your application) and include your full name and the longer barcode number printed on your ID . We'll get back to you during business hours. Even if you've received a new ID, you don't need to fill out the application again. Bring your ID badge to the library (contact us by phone or e-mail) and let us know about any changes to your contact information, and we'll update your existing record. Most JSCC student ID badges now come with a library barcode, but you must still fill out an application to use your library card. Any student, staff member, or faculty member with a current JSCC ID can get a library card.